More than 20 years after the first vehicles with advanced telematics systems rolled off the production line, connectivity will now be standard in every vehicle with a new type approval as of April 2018 in Europe. From now on, the automatic emergency call system, eCall, must be installed in all new cars receiving type approval after April 2018 in the European Union, regardless of manufacturer, model or price category. 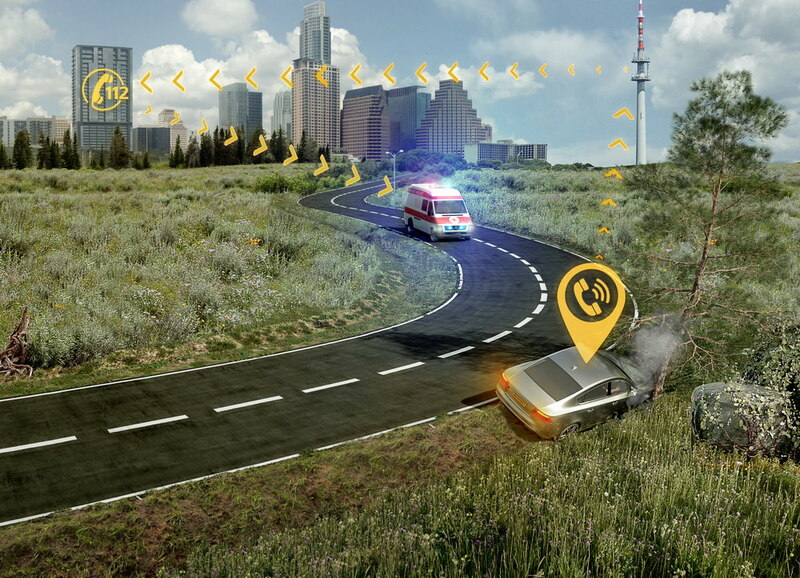 Technology company Continental has been developing telematics units since 1996 and welcomes the decision of the European Commission on eCall. “For us, eCall means that we are a huge step closer to our Vision Zero – mobility without road deaths or injuries as help is now automatically on its way in case of an accident. By using the telematics unit for other applications like real-time information about traffic flows or potential hazards, accidents can even be actively avoided and congestion minimized,” says Johann Hiebl, head of Continental’s Infotainment & Connectivity business unit. Thanks to eCall, vehicles have an on-board emergency call system, which can automatically send an emergency alert with the vehicle’s exact location to the closest appropriately equipped public-safety answering point. The system uses the standard emergency number in Europe, 112. According to the European Commission, this will reduce the response time by up to 40 percent in urban areas and even up to 50 percent in rural areas. Statistically, a shorter response time means casualties get help faster so that more harm can be prevented. At the same time, according to information from the European Commission, the introduction of eCall could represent a statistical reduction in the number of fatalities of ten percent per year in the EU. The automatic eCall system is activated by the triggering of the air bag control unit. It’s also possible to trigger an emergency call manually, for example if a driver witnesses a serious accident. According to the European standard, a minimum set of data must be transmitted to the public-safety answering point. This data telegram is 140 bytes long and contains information selected on the basis of their relevance in an emergency rescue situation like the time of the emergency call, the vehicle type and location, the drive type, the number of passengers, the direction of travel, the way in which the emergency call was triggered and other information. The hardware in the vehicle used for the eCall function is the in-built telematics unit, which primarily consists of a modem (network access device), a satellite positioning (e.g. Galileo) antenna and the electronics required for connection to the vehicle, and possibly a back-up battery. “However, eCall is just one of over a hundred functions that could be integrated in the telematics unit of all new vehicles. It is an important cornerstone of holistic connectivity, so from April 2018 at the latest, the car will become a smartphone on wheels, bringing the mobile and digital worlds together,” explains Hiebl. The new functions and services enabled by connectivity in the vehicle include software updates for all vehicle electronics, which are performed wirelessly via an air interface without visiting a dealer workshop, as well as remote and anticipatory vehicle diagnostics. As today’s vehicles consist of up to 100 million lines of code, in addition to eCall, these functions are among the core functions of modern telematics units and key to establish the vision of holistic connectivity. Furthermore, connectivity can ensure road safety, as vehicles are able to mutually exchange information through the use of V2X communication (Vehicle-to-everything) technology, and warn each other of potential hazards en route. To further expand and enhance its telematics business, Continental is already working on integrating the new mobile network standards LTE-Advanced and 5G into the vehicle. eCall based telematics systems are already ready for production at Continental. These can be adapted to the requirements of individual vehicle manufacturers and delivered at short notice.